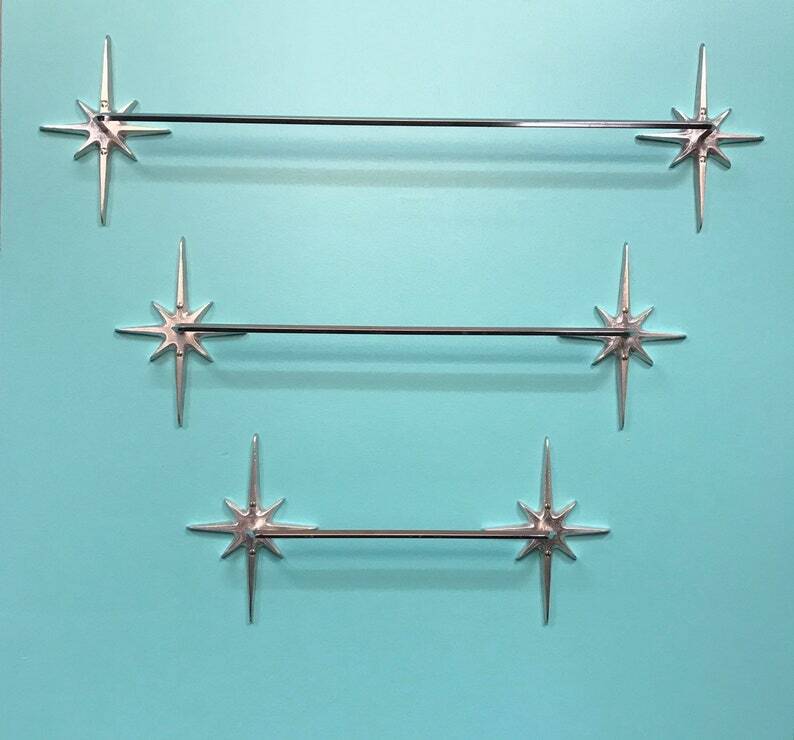 Finally a way to hang your towels in style with these mid century inspired atomic starburst towel bars. Each starburst is hand made in a sandcasting foundry from solid aluminum and then hand crafted to a shiny hammered finish. The starbursts are then machined for mounting holes and to attach a chromed steel bar. Finally they are clear coated for a tarnish free finish. Each starbursts measure 7.5" x 5". These are available in three different lengths. 24", 18" and 12" and include stainless steel mounting hardware. Simply choose which length/s you would like during checkout. Super fast delivery. Lovely starbursts! Thank you. Item shipped fast, was super easy to install and works great.